My craft fair a week and a half ago was a disaster, very poorly organised which resulted in very few people coming to it... I did have 5 sales though and one was an Origami Bunny filled with mini eggs. They are pretty simple to make and once you start it is hard to stop... mine really are breeding like rabbits! but I wanted the thicker paper to hold the eggs as they are quite heavy. On a totally seperate note picmonkey have loads of new stuff for free, I have just spent ages deciding which critters to put pn my picture...! Cute bunny, you are clever! Sorry to hear the craft fair wasn't very successful, hopefully you will have better luck next time. Oh and I saw your fabric bow featured on A Round Tuit - well done! 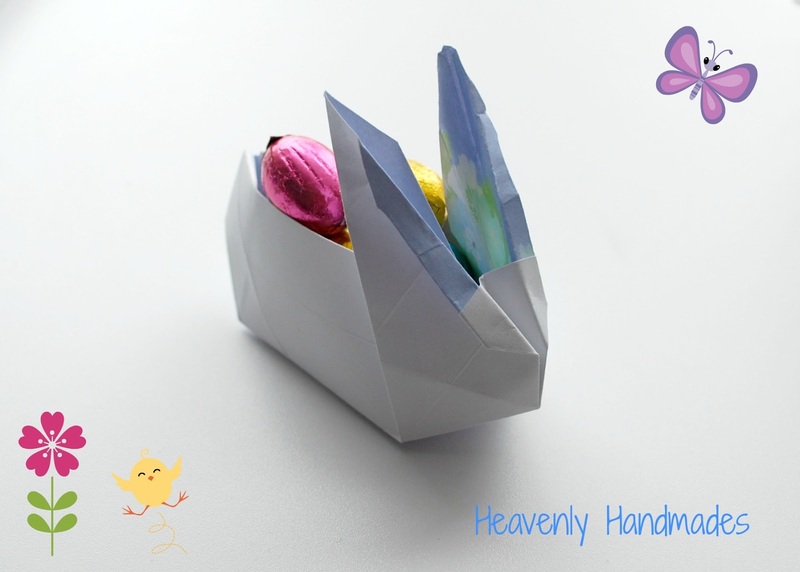 Your bunny is cute - what a great idea for a small Easter gift. Thank you for linking up at Fluster's Creative Muster. Hope to see you next week! 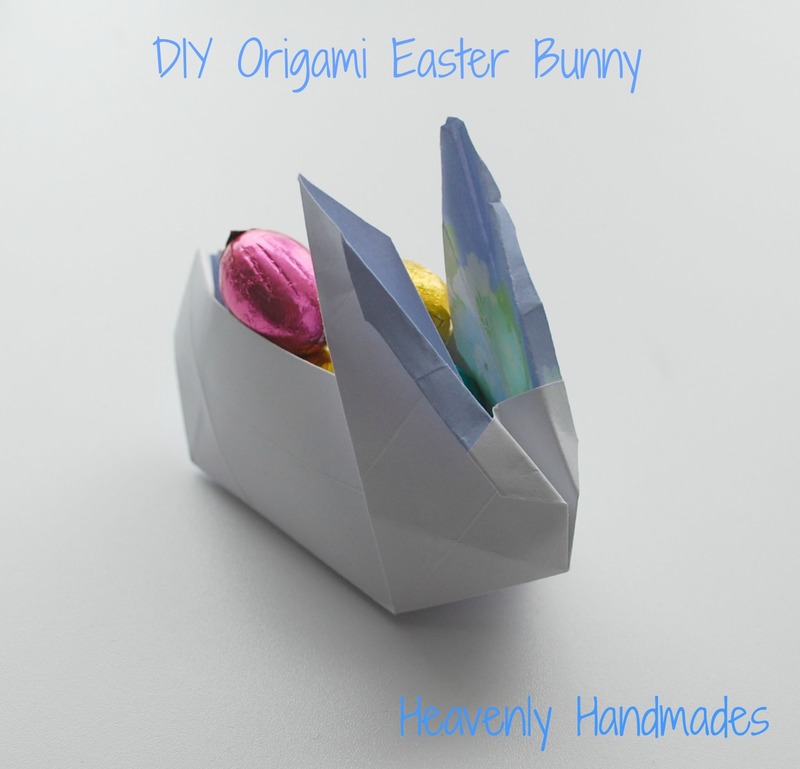 Such a cute idea, will give these a go with my son over Easter! They are really fun to make! This is adorable! What a fun way to give treats! I'm including this in my preschool Easter round up at http://preschoolpowolpackets.blogspot.com/2013/03/29-easter-activities-for-preschoolers.html -- let me know if that's a problem! So cute! Might try to teach my sons to make some for Easter - got to fill their two weeks off school somehow! What a gorgeous little bunny! I'm going to check out that tutorial myself! I'm Alison, a crafty Mum to a type one diabetic child. 4 New Additions and Happy Easter! A lot of snow and a teeny tiny hat!